His name is Tommy and he also shows how the left arm works in a two-armed swing. With only one arm, young Tommy uses the Primary Lever of the shoulders with the leading arm. First, everyone here on the blog who’s been around any length of time knows this stuff. 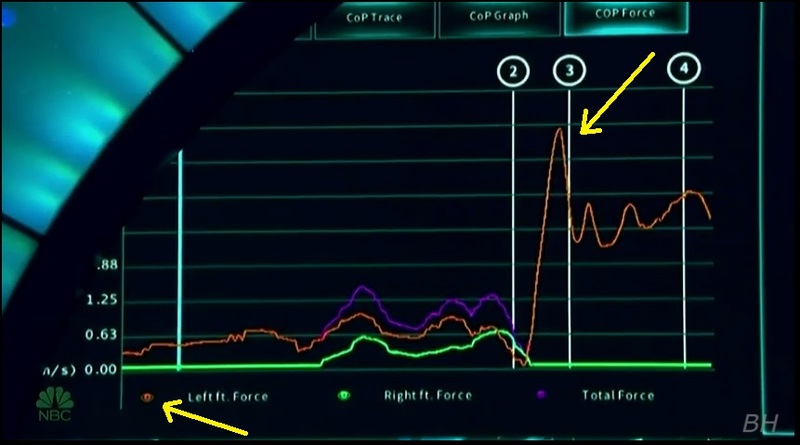 After Tommy swings, we’re treated to a little scientific analysis, showing that he’s producing four times his body weight in vertical lift at impact. Now you get a scientific pressure plate analysis of the vertical lift produced by a one-armed kid with a beautiful action through the ball! 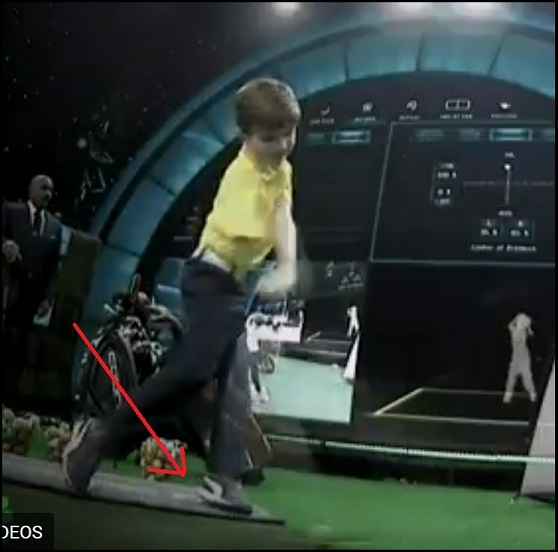 This exposes the fraud that you are constantly reading and watching and hearing about with Modern Golf Swing analysis that one has to launch oneself into the air to “use the ground” and produce “vertical lift,” and what I’ve been saying all along – if your foot is not on the ground at impact, you are not using the ground at all, and are producing little to no vertical lift. 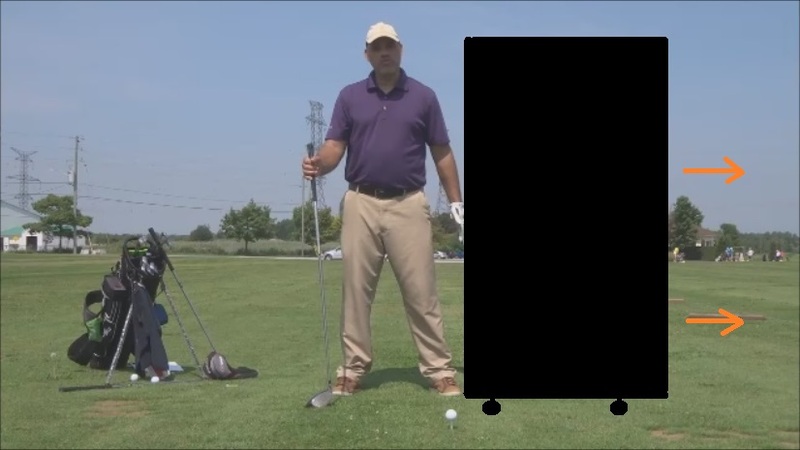 The question one has to ask Modern Golf swing analysts and teachers is a very pertinent one – where is the science to prove any of what they’re throwing at their audience day in and day out? 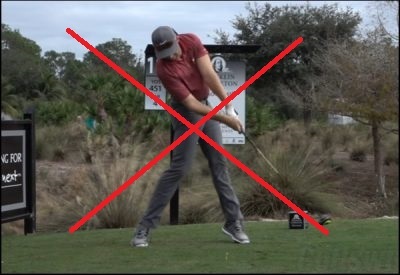 In fact, have you noticed that there is absolutely no science being presented to prove anything of what Modern Golf Swing people are talking about? There’s lots of science in how they produce longer balls and clubs, and in flight launch monitors, but isn’t it strange that there’s none to back up what they’re saying about technique? If what they’re saying has no scientific evidence to back it up, then it’s all smoke, mirrors and mumbo-jumbo. This entry was posted in Golf Swing Biomechanics, Leading Side Leverage, Leverage, MCS Golf Swing, PGA Tour, Pressure Plates, Using The Ground, Vertical Lift and tagged DJ Watts, Golf Swing Biomechanics, Leading Side Leverage, Leverage, MCS Golf Swing, PGA Tour, Using The Ground, Vertical Lift, WAX Golf on November 3, 2018 by D Watts.